On Friday night after work, we met at the College Park metro station and walked in the oppressive heat to Northwest Chinese, where we hoped to be greeted by a different (and much more welcome) type of heat. Northwest Chinese is in a strip mall on the edge of the University of Maryland campus in downtown College Park, a little less than a mile from the metro station. The interior of the restaurant looks modern and pleasant, with a soothing waterfall by the cashier’s stand. We were directed to a seat along the wall and given a laminated menu along with a purple washable marker. You put a “check” next to what you want and then bring it to the front when you’re ready. 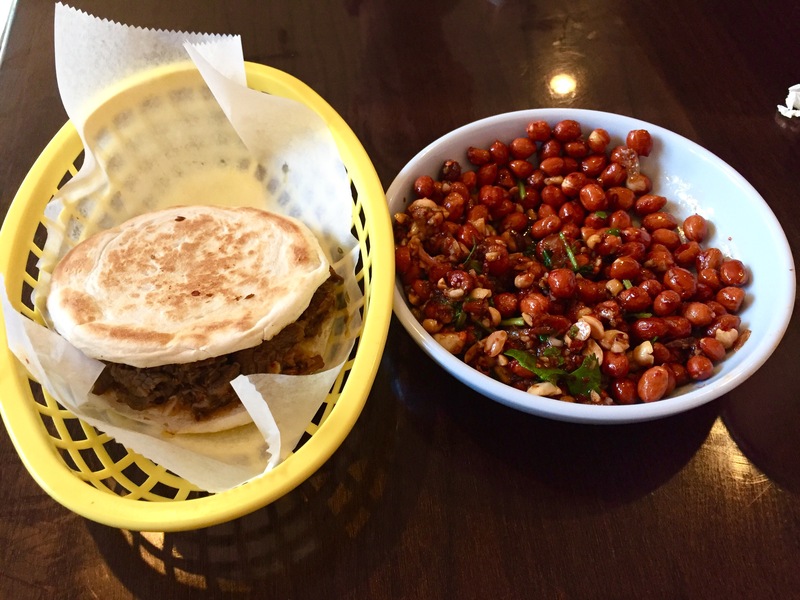 We checked off the Black Vinegar Peanuts, the Spicy Cumin Lamb Burger and the Sour Soup Dumplings. The peanuts, glazed with Shaanxi vinegar and then topped with cilantro, red pepper flakes and sliced garlic, were addictive. They are the ideal snack to order while waiting on the rest of your meal. Next up: the Spicy Cumin Lamb Burger, with ground lamb on a house made rice bun. The rice bun had a crispy, cracker-like consistency. A softer bun would have disintegrated under the weight of the spice-saturated lamb. While the burger had some heat from the cumin and a few flecks of red pepper, it’s a good option for those looking to dial down the heat. 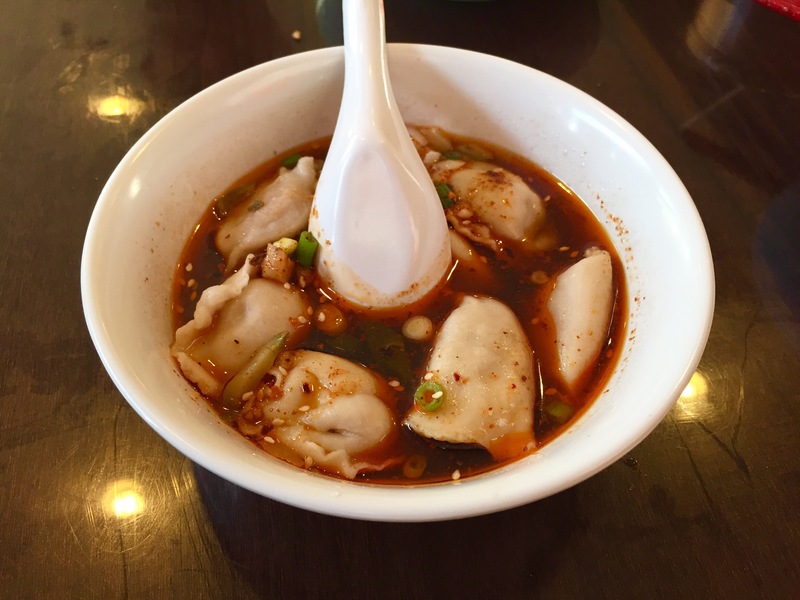 The sour soup dumplings, other the other hand, does not dial down the heat. The initial surprise, for me at least, was the spicy and sour combination. Taking one look at it, I knew it was going to be spicy. After all, the peanuts had prepared me for this mix of flavors. But when I tasted the vinegar, it jarred me a little. Once I warmed up to the incredible complexity of the broth, though, I just wanted to devour it all. We both agreed that the housemade pork dumplings, which had more heft and chew than usual, were the best dumplings we had ever had. As Marnay would say, those dumplings are what all dumplings aspire to be! All of this food—the peanuts, burger and soup—was $18 before tip. For this quality, we would happily pay much more. We woke up at 5:00am on a Saturday to get ready for our 7:00am Amtrak train to Richmond. Unfortunately, our train was an hour and 15 minutes late getting to Union Station. It was fine, though, as it allowed us to walk around the station a few times before sitting on the train for over 2 hours. Richmond Main Street is one of the nicest, cleanest Amtrak stations that we have ever been to. The station itself is one of our favorite parts of visiting Richmond. 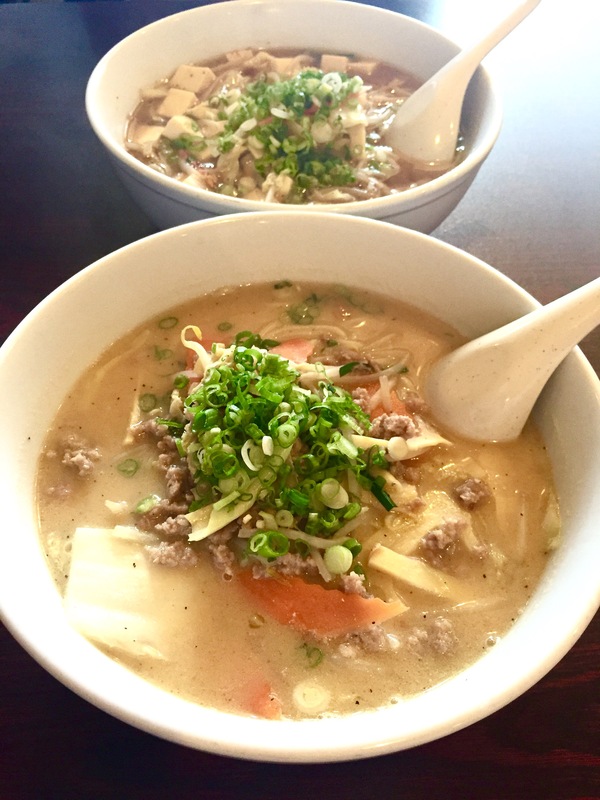 We left and walked straight to one of our all-time favorite lunch places, Grace Noodle. Marnay got miso ramen with ground pork and I got a rich vegetable ramen. I am getting right now hungry thinking about it! On top of everything, the place is ridiculously inexpensive. While it was almost 100 degrees outside, we were prepared for it and went for a walk to the Manchester neighborhood, on the south side of the James River. We normally like to organize activities ahead of time, but this was completely unplanned. We stumbled across a train museum with a huge model train set which volunteers had spent years building. 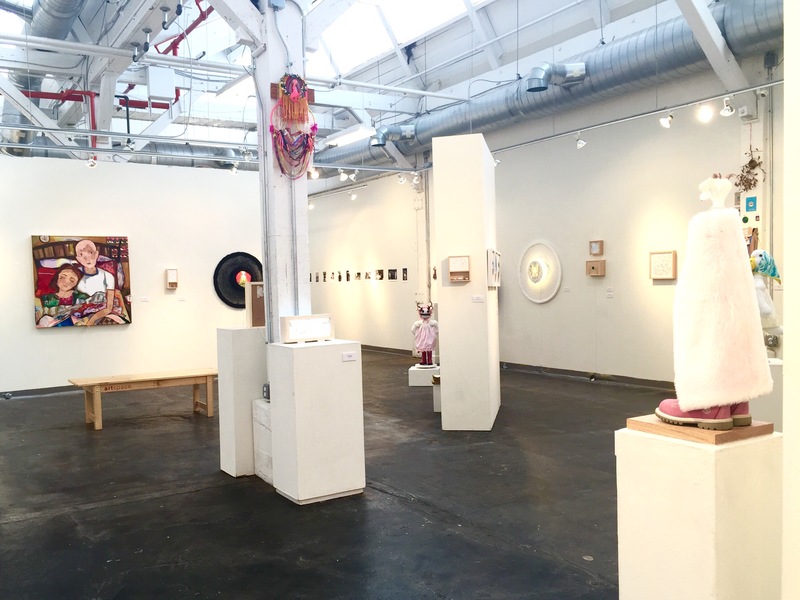 We also found a modern art exhibit space called ArtWorks Richmond in a former industrial space. In general, Richmond is doing an excellent job taking obsolete factories and turning them into lofts, artists spaces, etc. Thirsty after all of this walking and exploring, we headed to BlueBee Cider and enjoyed a drink. 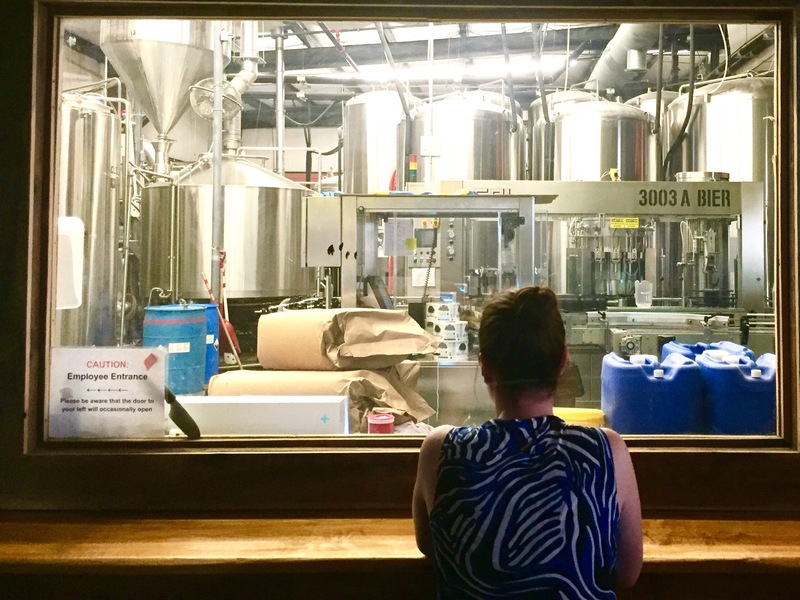 Next on our jam packed Richmond adventure we ubered to Hardywood Brewing for some more cold ones and to take advantage of their air conditioning. We spent a lot of time at Hardywood enjoying the beer and staying cool. By 4:00pm, we were absolutely starving, so we headed to the Roosevelt for our 5:00pm reservation. 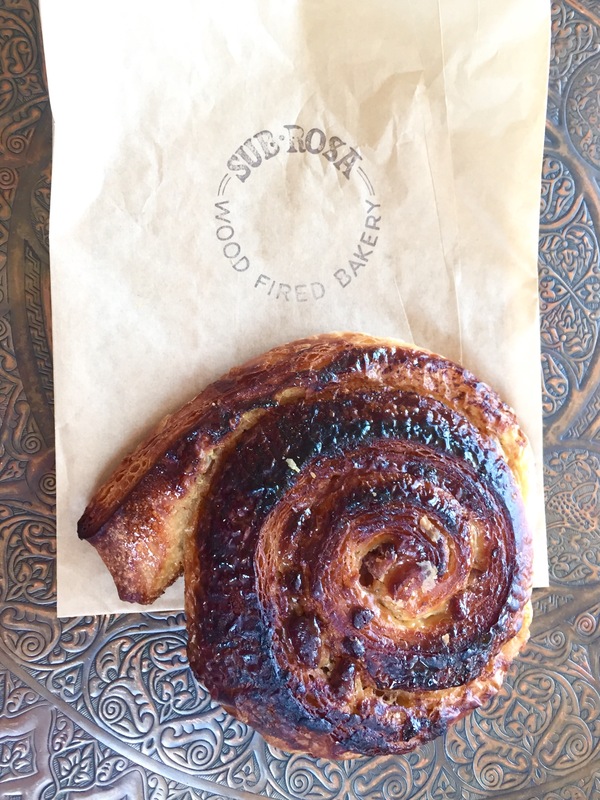 Before we actually got to dinner, we stopped across the street at Sub Rosa, an incredible bakery, for some baked goods to help tide us over. Our dinner at the Roosevelt was a tad inconsistent but we had a great roasted rockfish dish. Most importantly, we were full for our long train ride home. 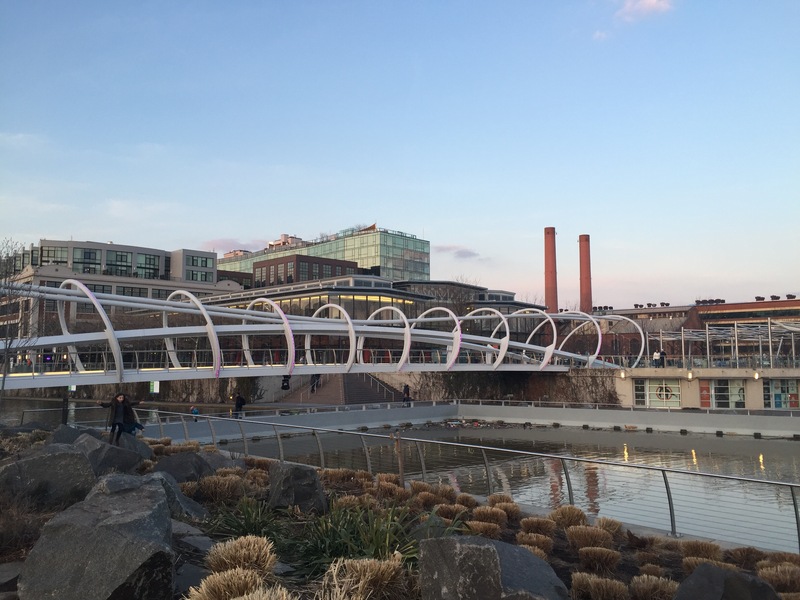 Richmond is easily doable as a day trip from Silver Spring/DC. Plus if you take Amtrak like we did, you can sample as many drinks as the city has to offer without having to worry about driving home! We made reservations a month out for dinner at Kinship, the new restaurant in Mt Vernon Triangle from acclaimed chef Eric Ziebold (James Beard Award Best-Chef Mid-Atlantic, 2008).The menu is separated into “Craft”, “History”, “Ingredients”, “Indulgence” and “For the Table.” This is one of the few restaurants where an introduction to the menu from the server is actually necessary. The restaurant feels like it is in someone’s narrow rowhome, with brick walls and low lighting. We knew going in exactly what we wanted to eat so we ordered drinks and food and the same time. 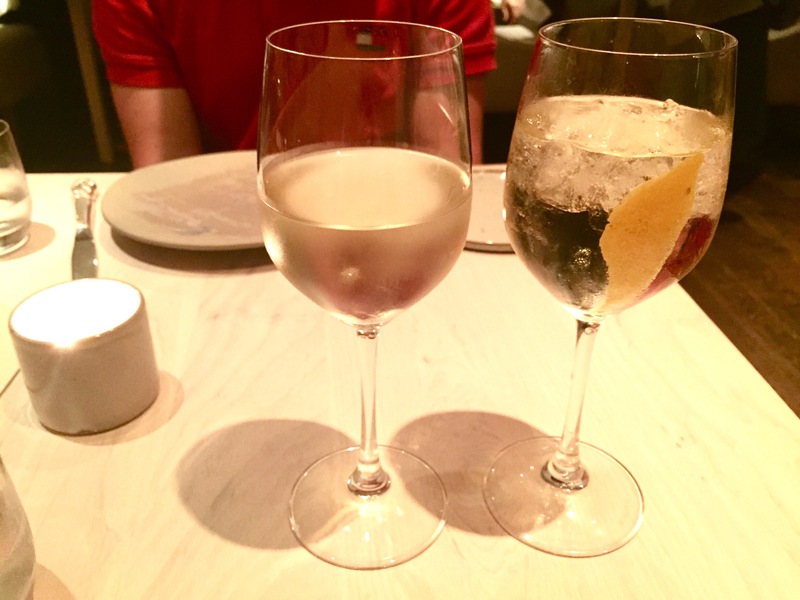 I started with the Kinship Spritz (Cocchi Americano, Dolin Blanc, Blanc de Blanc Sparkling Champagne) and Marnay got a glass of French Chenin Blanc. For some reason, my drink came at least five minutes before Marnay’s. When it finally arrived, her glass of wine was brought by the manager of the front of the house (who happens to be the chef’s wife) instead of our server. The exact same thing happened when we ordered a second drink. 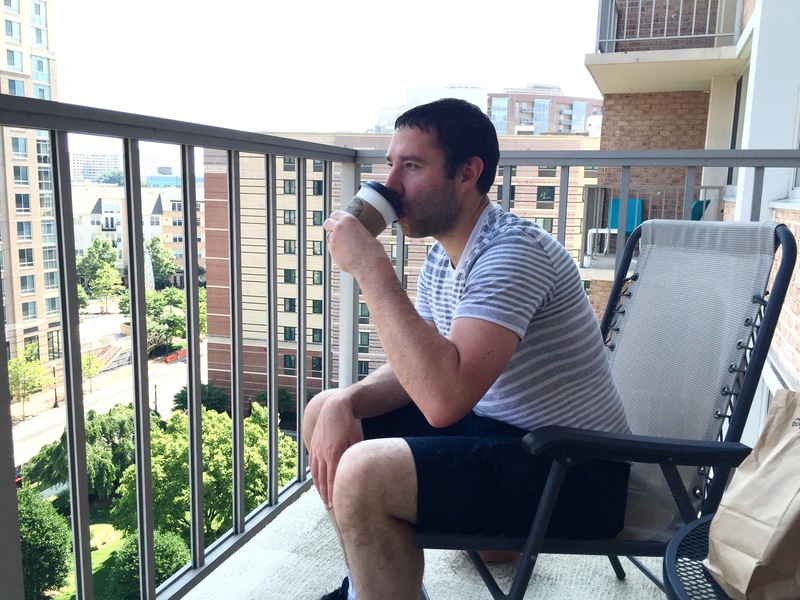 There is no doubt that we received great service at Kinship and we left feeling like VIPs. There was just a lot of duplication of effort among the staff. Not really a critique, just something that we noticed. 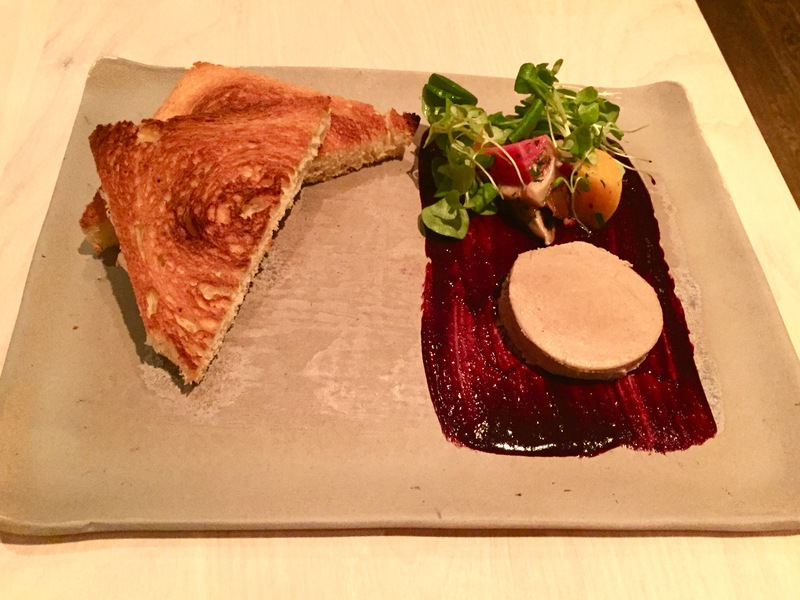 Our meal started with the torchon of white mushrooms from the “Craft” section, a riff on a torchon of foie gras, with baby beet and wild mushroom salad served on top of a huckleberry gastrique along with slices of toasted brioche. The torchon was rich and earthy on its own but it was transformed when spread on the toasted brioche along with the gastrique. 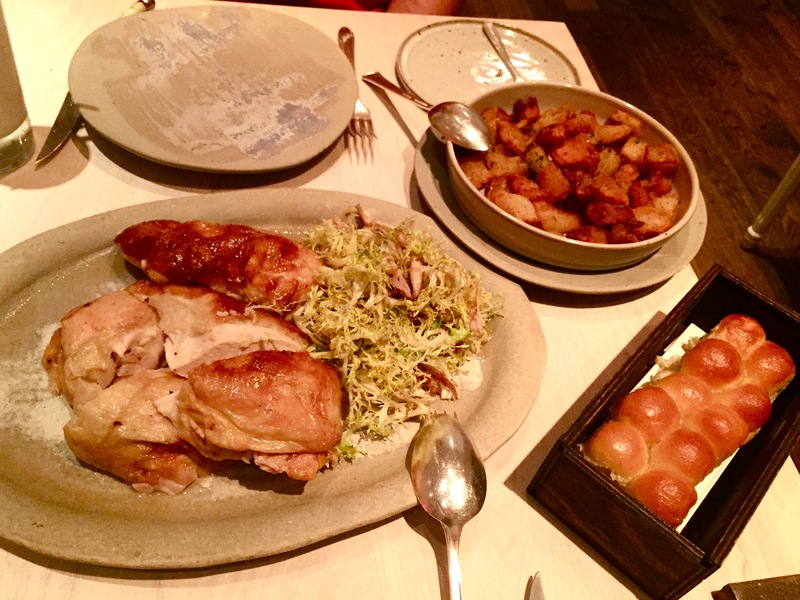 We also ordered Kinship’s famous roast chicken, from the “For the Table” section. We got a little hungry waiting for it to be made (it takes at least an hour) but I am glad we did not order another dish because the chicken is a lot for two people. When the chicken was finished, the server presented it to us (perfect picture opportunity!) before bringing it back to the kitchen to cut into pieces. The garlicky, buttery skin was the best part of the dish. Second best was chef Ziebold’s famous Parker House rolls, pillowy and soft. Last, but certainly not least, was the well season fried potatoes. 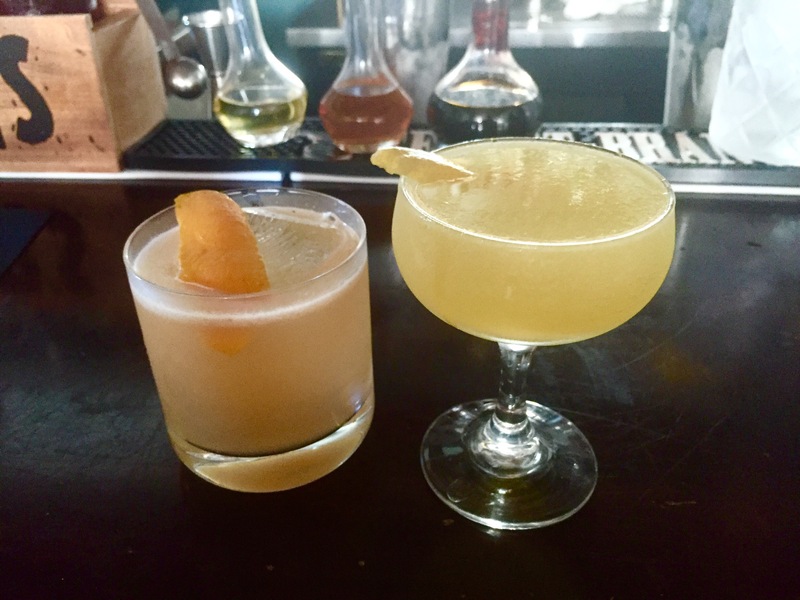 Kinship is a cozy neighborhood restaurant with James Beard Award quality food at reasonable prices. 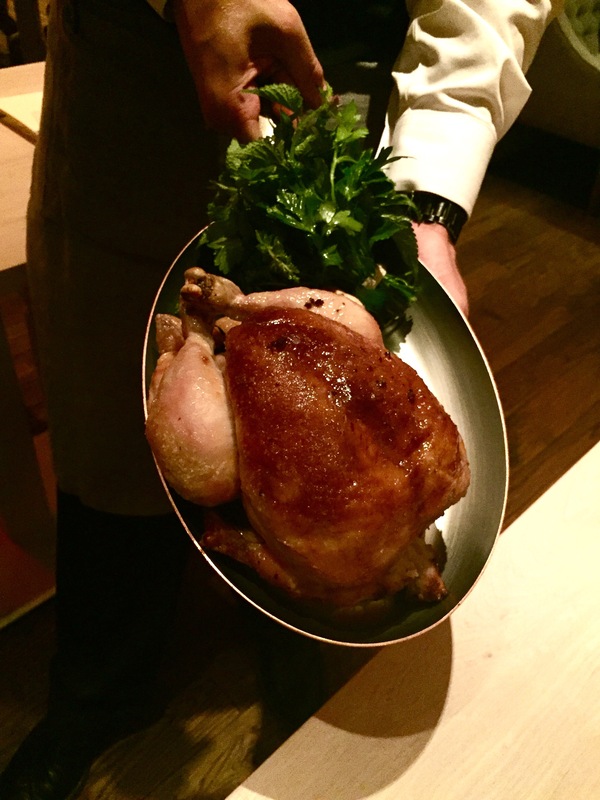 The roast chicken, for example, cost less than two individual entrees. While we had to make our reservations a month in advance, the full menu is offered at the bar and there was no one sitting there when we arrived at 7:00pm on a Tuesday. Now go and try it! It seems like we travel somewhere at least every weekend during the summer. It’s either to see family or to a wedding or, occasionally…for fun! 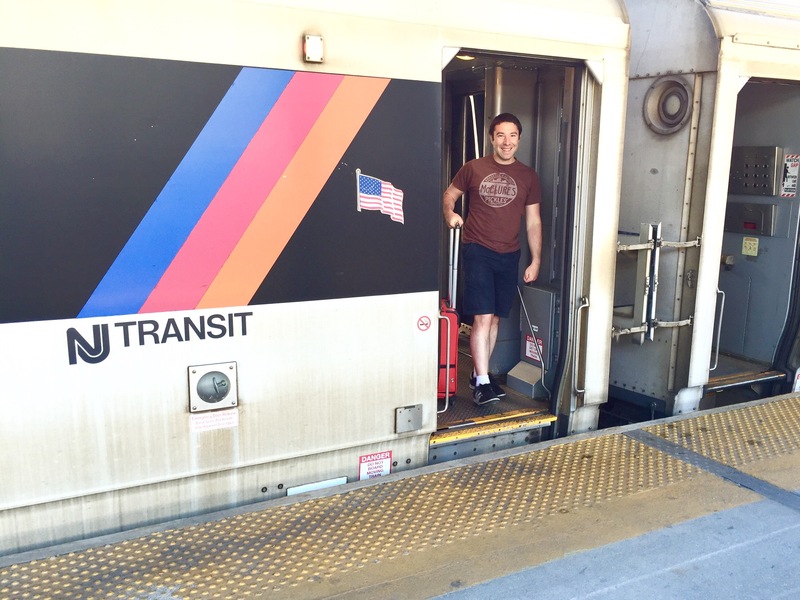 On Saturday morning, we took an Amtrak train to Philadelphia on our way to visit Marnay’s Mom in Margate, NJ. Margate is on the same barrier island as Atlantic City, just two small towns to the south. It takes about 2 hours to get to 30th Street Station in Philadelphia. We grabbed a bite to eat in the station and then sat outside at The Porch at 30th ( @theporchat30th ) while we waited for our NJ Transit train. 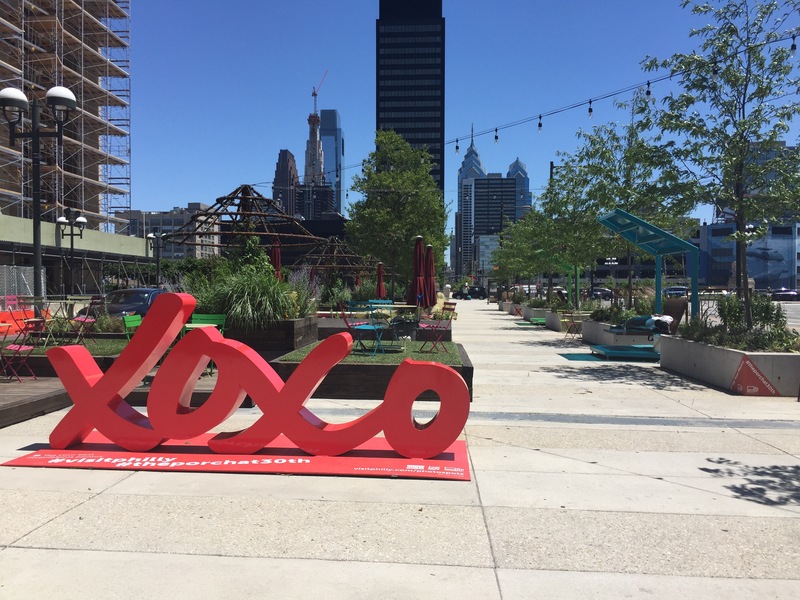 The Porch at 30th is an urban oasis on the formerly barren sidewalk outside the train station. It is a beautiful example of placemaking. They transformed the sidewalk by adding swinging porch chairs, public art, things for little kids to climb and some impressive plants. I would hang out there on my own even if we weren’t waiting for a train. 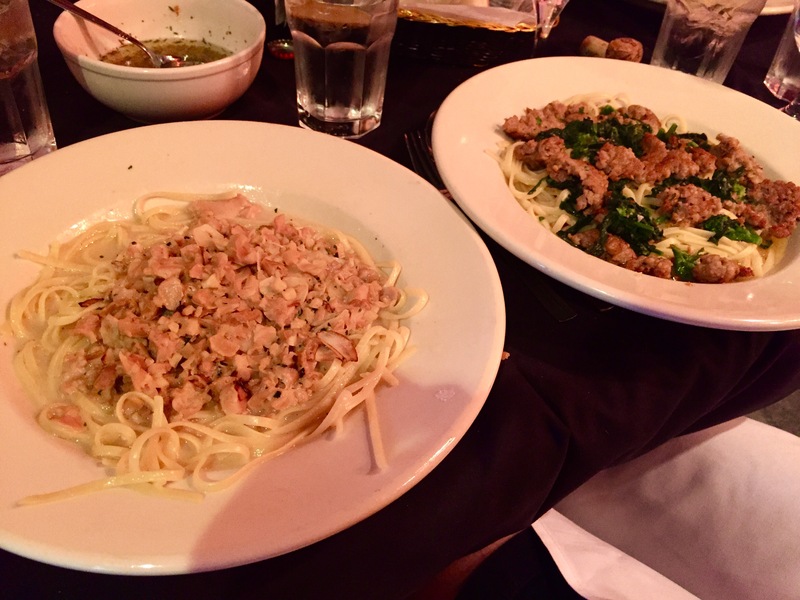 When we arrived in Atlantic City, we met two college friends and went to Barrels of Margate, your standard Jersey Italian red sauce joint…the kind of place that we grew up with. 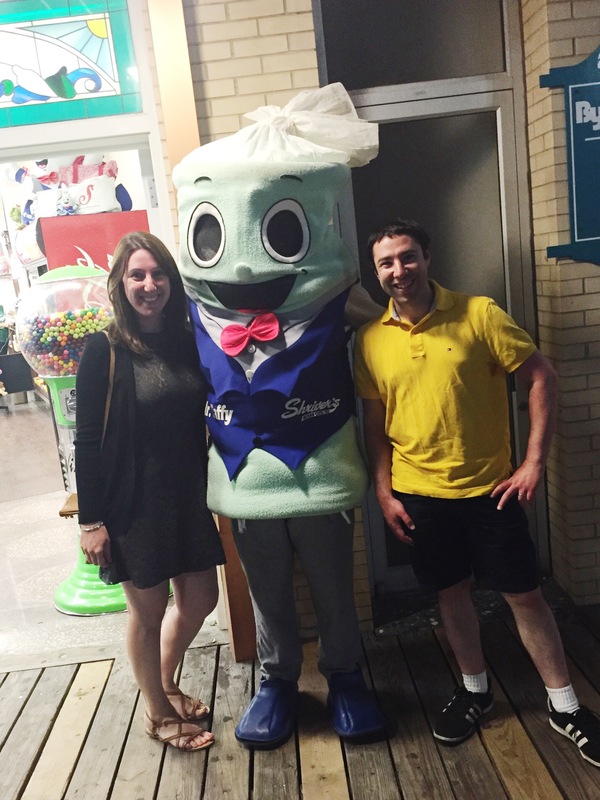 Afterwards, we headed to the Ocean City boardwalk. We walked almost the entire thing and made sure to get some famous frozen custard from Kohr Brothers. The ice cream definitely made up for a so-so dinner. We walked some more but at 11:00pm everything shuts down in Ocean City, so we knew it was time to head home. 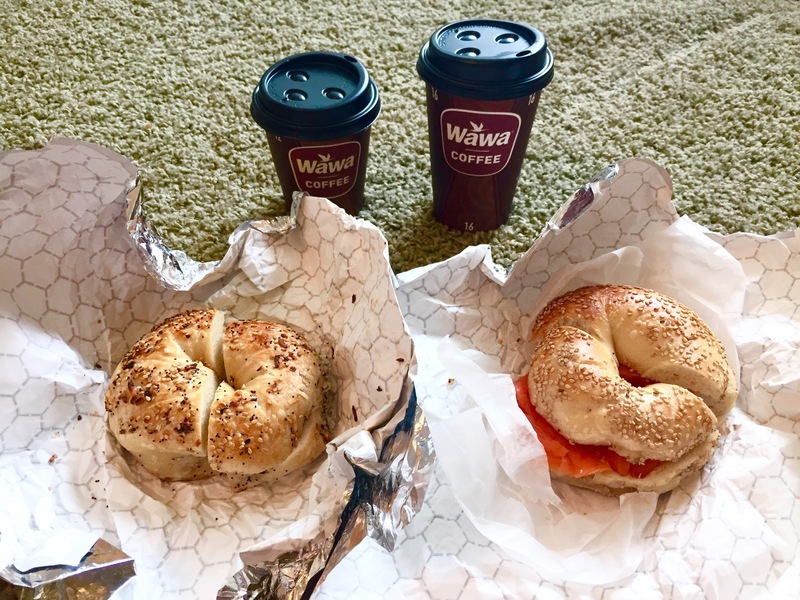 We woke up and walked to get some bagels from Margate Hot Bagels and coffee from Wawa, which are right next to each other on Ventnor Avenue. Ventnor Avenue is the “Main Street” of Margate, Ventor and Atlantic City. I got a sesame bagel with nova and Marnay got an everything with an egg. Fueled by our bagels, we took a 3 mile walk on the beach to Longport, the next town south. I need to mention how incredible the weather was all weekend. Low 70s with a sea breeze and not too much sun. We could have stayed outside the entire day in this weather. We decided to have lunch at Aversa’s, an Italian Deli on Ventnor Ave. I got an Italian sub which had amazing housemade bread, but otherwise bland ingredients. The others had meatballs and said that they were not great, either. After relaxing, we headed for dinner at the Greenhouse, mainly a spot for pizza and drinking. 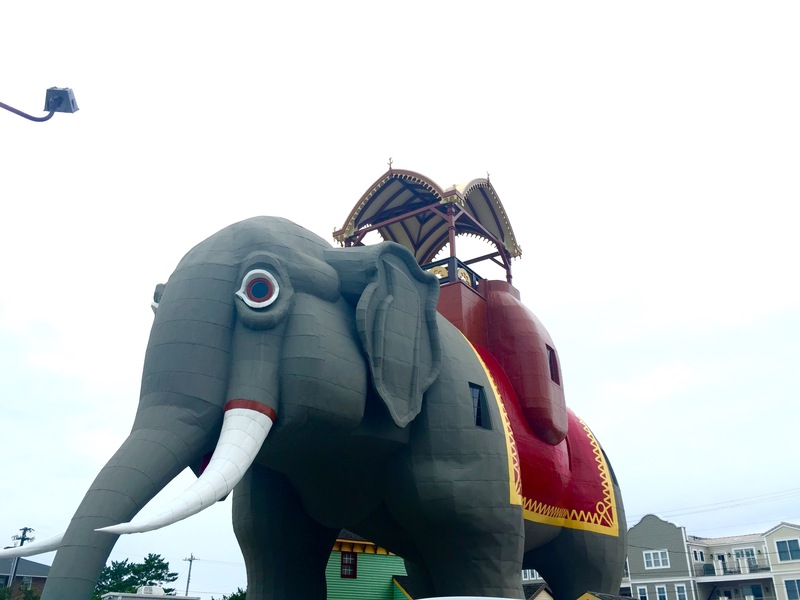 Greenhouse is next to the most famous attraction in Margate, Lucy the Elephant…a 65 foot tall elephant! Lucy was built as a tourist attraction in the 1860s and as a way to generate interest in the area. Today, she is a National Historic Landmark. 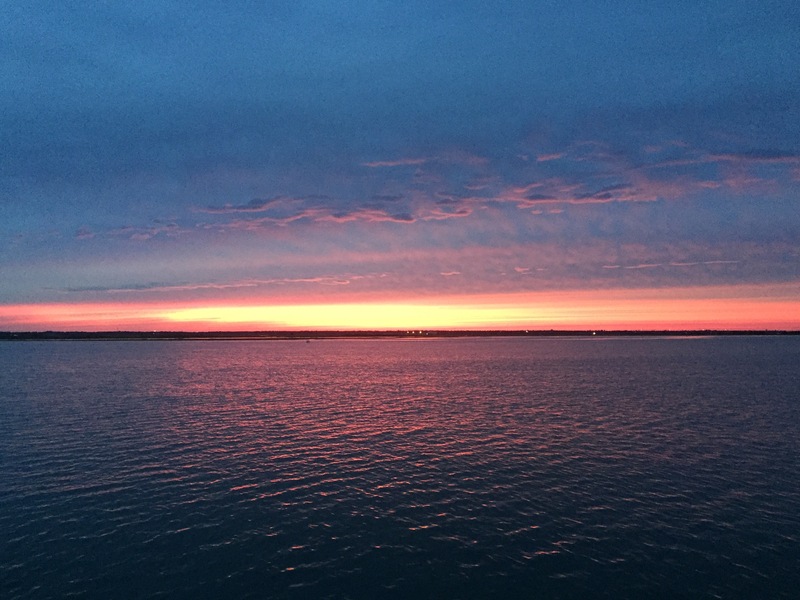 Margate is very narrow and has the ocean on the east and the bay on the west. We got delicious ice cream from the Margate Dairy Bar and then walked over to the bay side to enjoy it. We sat on the dock long after we had finished our ice cream and watched an incredible sunset, along with fireworks from the towns on the other side of the bay. It was well after dark when we headed home to the apartment. On Monday morning we headed home. We made a quick trip to Wawa for some coffee on the way to the Atlantic City train station and then took NJ Transit to Philadelphia. Once again, we had lunch on the swinging chairs at the Porch at 30th. Then, we took Amtrak back to Union Station. Miraculously, there was no track work on the Red Line and we got a metro to Silver Spring immediately. The food on our Ultimate Jersey Shore Weekend was only OK. But the scenery and the walks were certainly made it an ultimate weekend! There’s no denying, however, that we were happy to be back in Silver Spring. 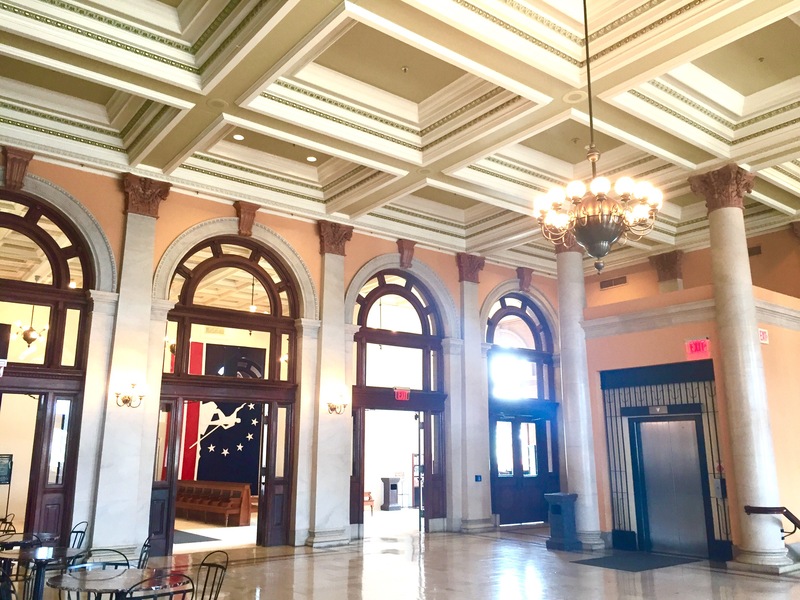 Marnay works near Farragut Square and I take the MARC train to Baltimore, so the perfect spot for us to meet after work is Union Station. On a beautiful Wednesday, we met up and went to Whaley’s in the Navy Yard by the fastest and easiest way possible…Bikeshare! 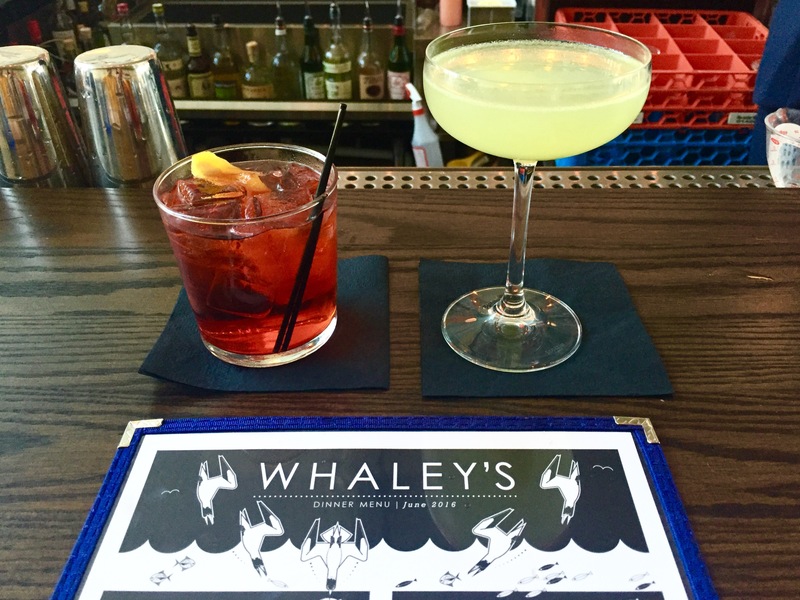 Whaley’s is a raw bar and seafood restaurant from the team behind DGS, appropriately set on the Anacostia waterfront. I have been really into Italian apertivos lately, especially since I started reading Spritz by Talia Baiocchi and Leslie Pariseau, so I ordered an Americano. An Americano is made of Campari, sweet vermouth and soda water. Marnay got House Cocktail #2, which is a refreshing combination of gin, yellow chartreuse, tarragon, cucumber and lemon. 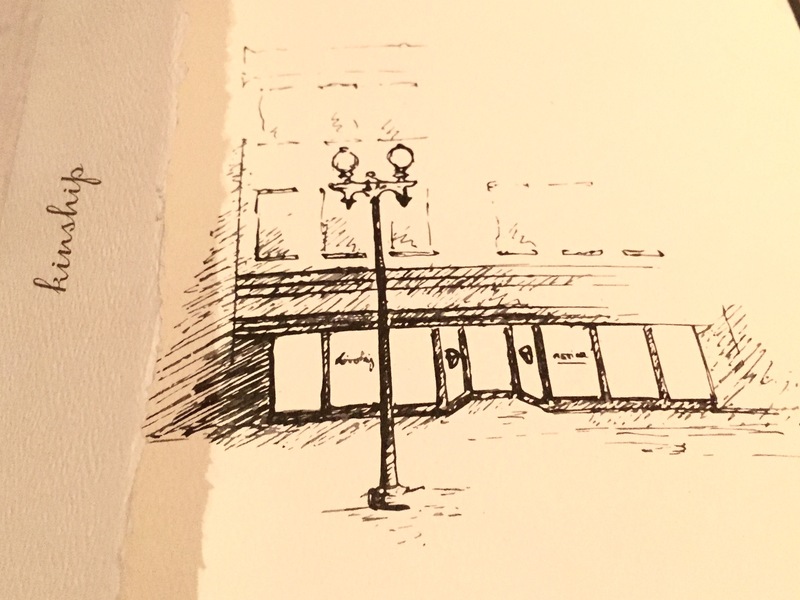 We sat at the large wrap around bar, near the very prominently displaced raw bar. Whaley’s is rather small on the inside, although there appears to be just as much outdoor waterfront seating as indoor seating. Tempted by the aforementioned raw bar, we got poached Gulf shrimp from Alabama as well as 6 local oysters from New Jersey, Virginia and Maryland. We rarely see oysters from New Jersey around here, so I was excited to try them. 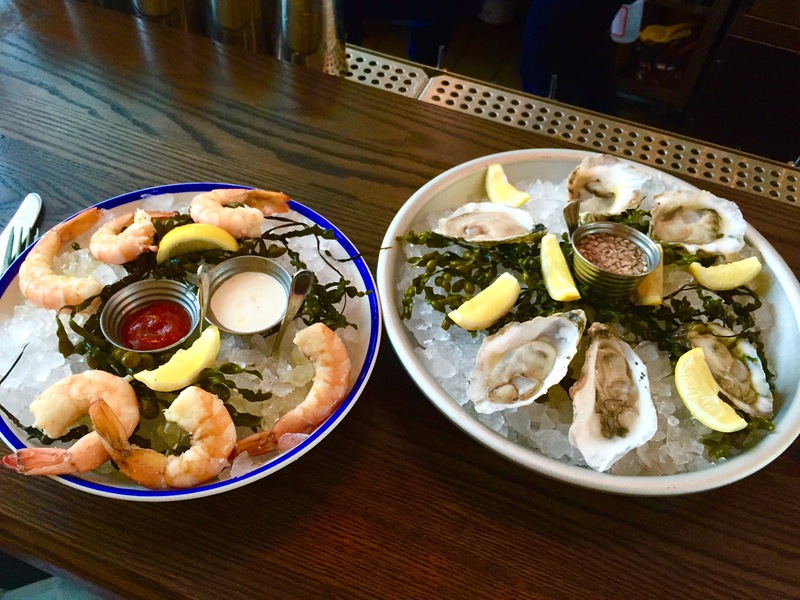 No exaggeration, these were the best oysters we have ever had. They were perfectly shucked with absolutely no grit and chilled to the perfect temperature. The shrimp were huge and buttery and something I would get again without hesitation. We still haven’t gotten to my favorite dish! 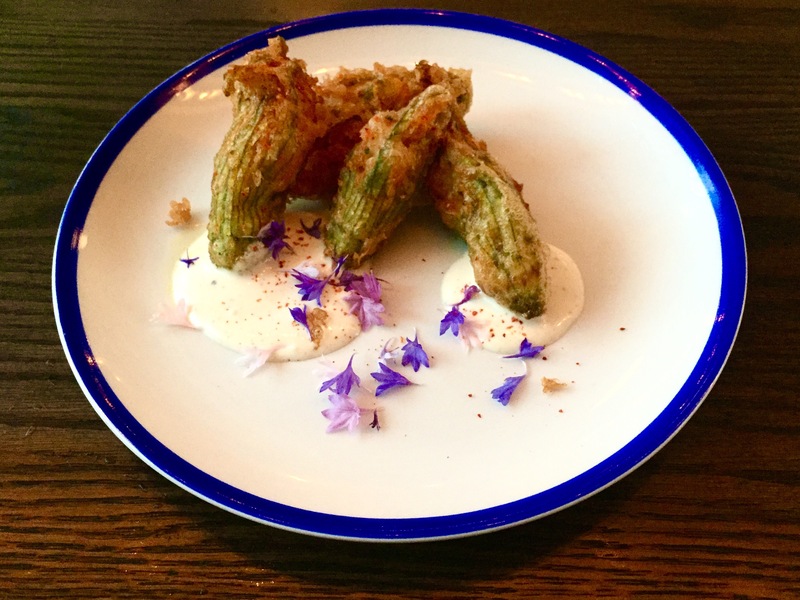 We ordered the crispy fried squash blossoms, filled with the same shrimp and placed on top of a swipe of ginger aioli. The blossoms are then topped with chives and esplette pepper. The squash blossoms actually come from the same town in Alabama as the shrimp. Whaley’s is very new and we noticed a few hiccups, mainly with bartenders not remembering how to make drinks and servers not sure where to bring plates. These were minor and they did not directly affect us, we just could hear a lot from our perch at the bar. I recommend Whaley’s if you are in the mood for quality raw seafood at reasonable prices and an A+ view. We will be back! 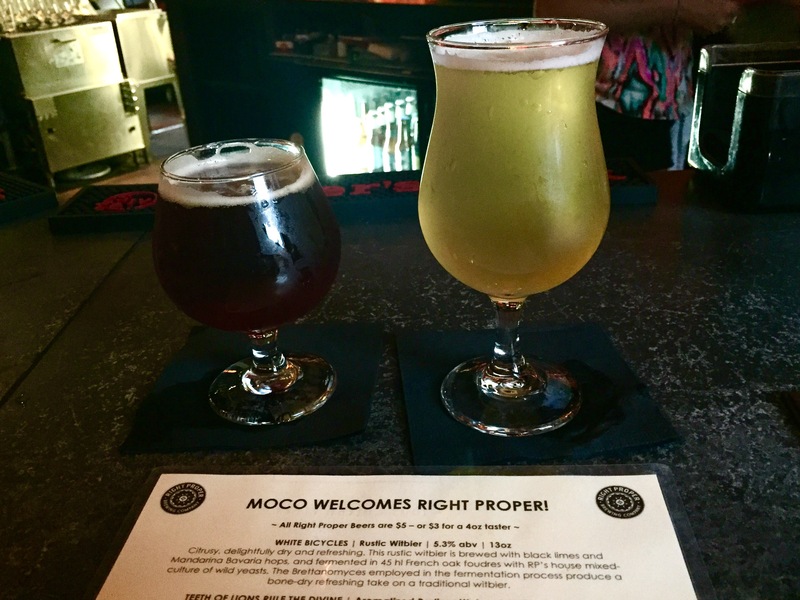 On Thursday, we headed to one of our favorite bars in Silver Spring, Scion, for their Right Proper Tap Takeover. The event was to celebrate Right Proper’s entry into the Montgomery County market, which is certainly a big deal. The Shaw brewpub just opened up a much larger production brewery in Northeast DC. The bartender at Scion, Matt, is extremely knowledgeable about beer and a good guy in general. Scion has a huge beer list and I will usually ask his opinion on what to get. The bar is a relaxed place, and the atmosphere was still relaxed even though there was a good crowd for the event. Another thing that Scion has going for it is that it has one of the best patios in Silver Spring, on the large sidewalk fronting East-West Highway. The food at Scion proper is good, but at the bar you can also order bao (Chinese steamed buns) from their sister restaurant, Nainai’s. I think that Nainai’s may be one of the best restaurants in Silver Spring for both quality and value. As you know, we are both huge foodies. About three weeks ago, I (Paul) saw one of my favorite food writers mention on twitter that she was at The Classics. I tweeted back and told her that we’ve lived in Silver Spring for two and a half years and had never even considered it…we’re not really into steaks and it didn’t seem like the kind of place we would like. She strongly recommended it, though. She said that she and her husband, who is also a food critic, used to go there every Friday until they moved. Because of her recommendation, we decided to include it in our #ultimatesilverspringweekend. Boy, are we glad we did. 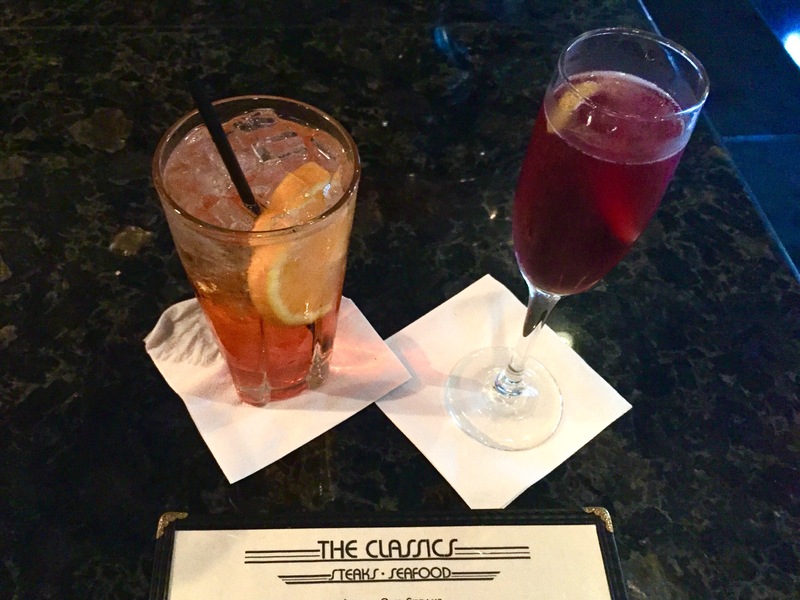 The bartender is this friendly yet curmudgeonly man and he is absolutely perfect for the place. He’s an old fashioned bar tender….the service was amazing, but he also just let us do our thing and didn’t bother us unless we wanted his attention. 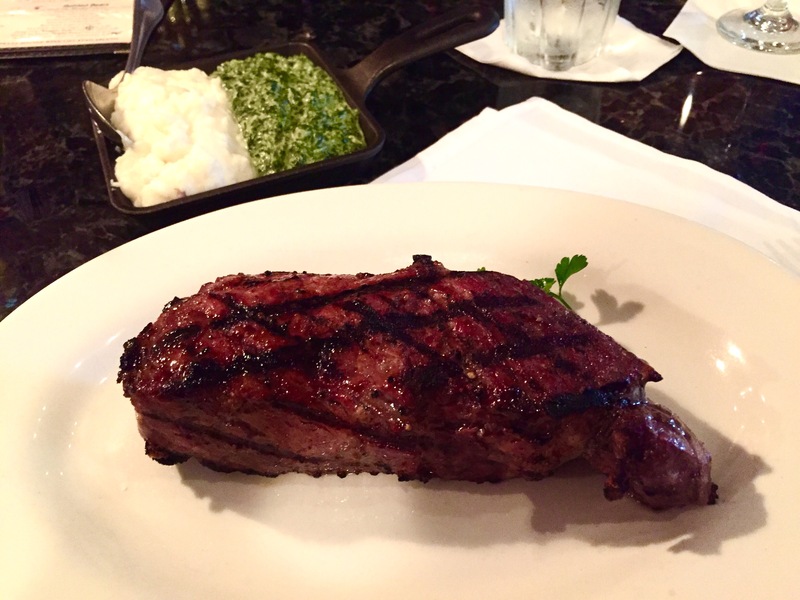 We ordered a New York Strip Steak, cooked to a perfect medium. As I mentioned earlier, we are not big steak eaters, but we devoured this. It was just the right amount of food for two people to be full afterwards. We were finished up dinner, getting ready to leave, when guess who walks in? M. Carrie Allan, the Washington Post spirts columnist who I had tweeted at three weeks ago! I froze, starstruck. She came and sat at the other end of the bar. We had already gotten the check at this point but I told the bartender that we had a change of plans. We ordered another drink and who walks in but Tim Carman, the Washington Post food writer who sometimes fills in for Tom Sietesma as head food critic! Alas, we did not get a chance to talk to them. But it just shows what an interesting and fun place Silver Spring is! On Saturdays, first thing upon waking up we like to walk across the street to Bump ‘n Grind. We will normally get two drip coffees to go as well as two biscuits, which are made at La Mano in Takoma Park. We then take the biscuits and make sandwiches with them at home. Bump ‘n Grind has recently starting showing soccer games on a large projector screen, which has drawn crowds the last few times I was there. Later in the afternoon, we went for a walk to focus on the parks of Silver Spring. We actually went on part of my running route and it was nice to be able to appreciate the scenery instead of flying by. First stop was the surprisingly large Woodside Park, just on the edge of downtown at the corner of Spring and Georgia. Next, we made our way through the Woodside neighborhood to connect with the Sligo Creek Trail, an incredible resource to have so close. We walked all the way to Kemp Mill, basically to the northern end of the trail. Exhausted and hungry, we sat in the parking lot of a shopping center and ate food from CVS, the only thing open. Kemp Mill has a large Orthodox Jewish population, so almost everything was closed on Saturday. We took the 9 Ride on Bus back to downtown and got some delicious black bass from Whole Foods to cook for dinner. Whole Foods is another great resource to have in walking distance. 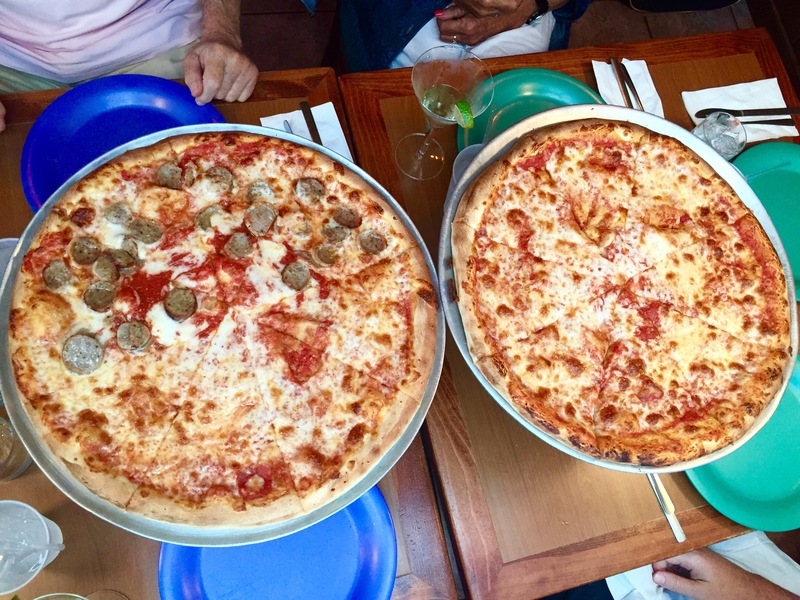 Sunday was our Pete’s New Haven Apizza day. We ordered three personal pizzas to share so that we would have lots of leftovers for dinner on Monday. 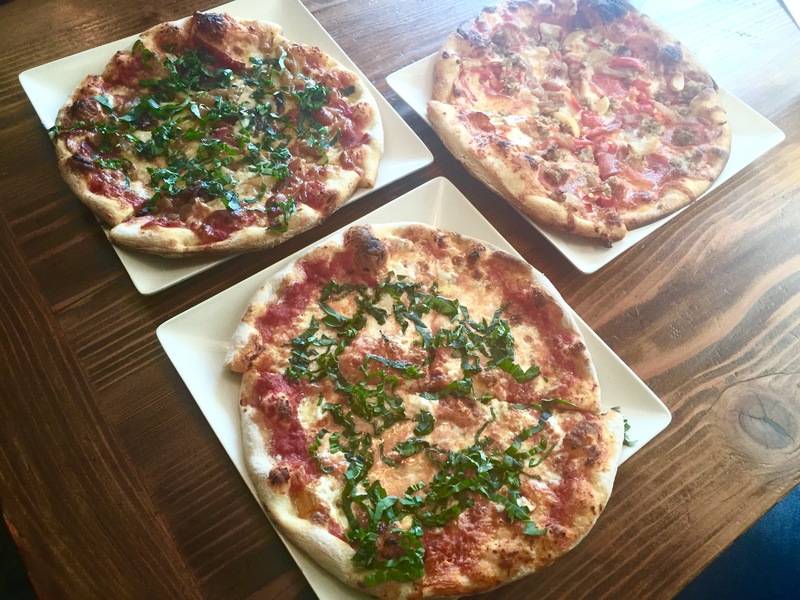 We got the Staven, with pepperoni, hot sausage, roasted garlic, caramelized onions and hot cherry peppers, the Margherita and the Merritt Parkway (named after the highway in Connecticut), with prosciutto, Kalamata olives, caramelized onions, basil and olive oil. Mmm, my mouth is watering right now just thinking about the Staven! The Silver Spring food scene is embarrassment of riches. We went to a lot of different restaurants on our Silver Spring weekend, but it would take a lot longer than a weekend to visit all of the good spots. After we finished, we went home to drop off the pizza and then walked on the Sligo Creek Trail again, this time towards Takoma Park. At Maple Ave, we started walking towards Philadelphia Ave and then hopped on the F4 Metrobus back to Silver Spring. We got off at Veterans Plaza to pick up a few more things at Whole Foods. We had a lot of fun on our Ultimate Silver Spring Weekend. We learned about some new things, like the Classics, but it also helped us appreciate the things we have nearby and that we may take for granted. 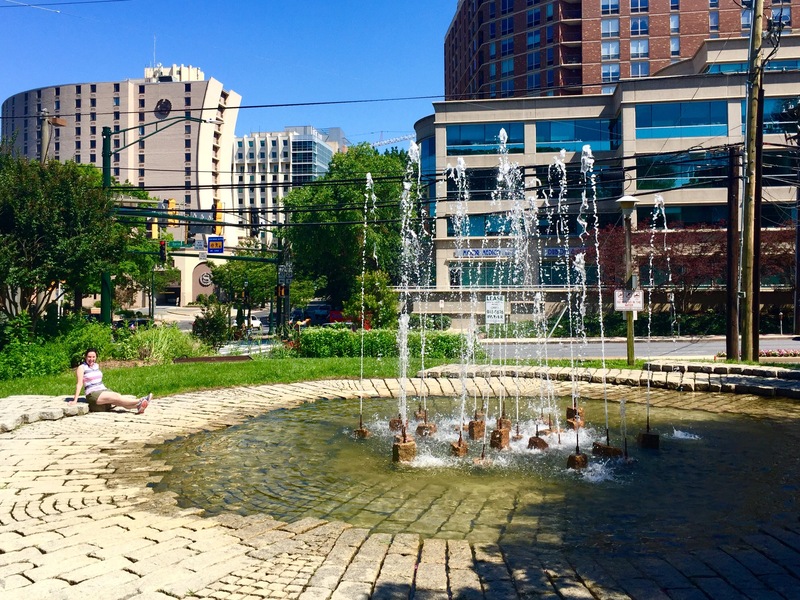 Silver Spring is an incredible place and we are happy to call it home! Paul is a two-time marathon runner and foodie and Marnay is a graphic designer who loves taking photos of food. They are happily married and live in walking distance to some great restaurants in Silver Spring, Maryland.